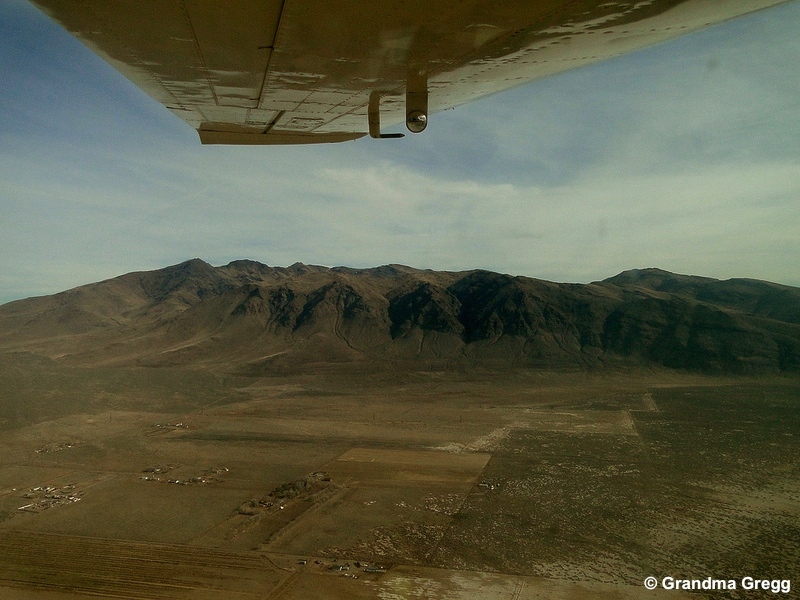 Abstract from the report: An independent aerial survey was completed over northeastern California and northwestern Nevada for the Twin Peaks Wild Horse and Burro Herd Management Area on November 26th 2013. 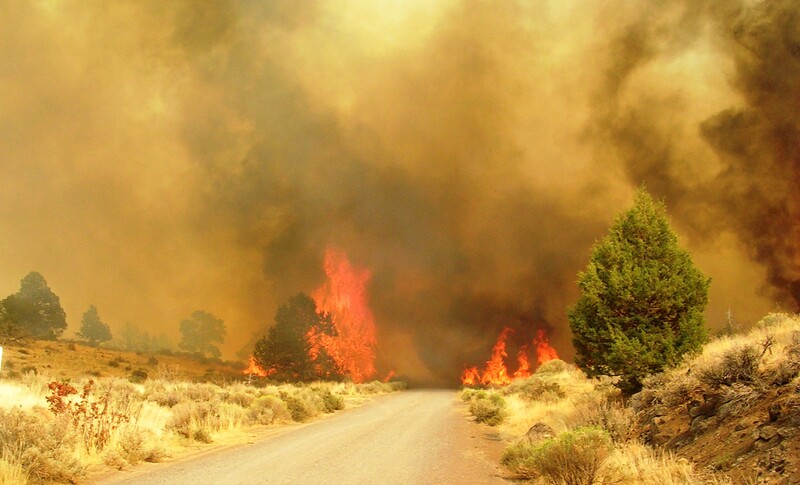 The objective was to estimate the population of wild horses (Equus caballus) and burros (Equus asinus) and to monitor the habitat recovery from the Rush Fire, which burned 315,577 acres in August 2012. The flight and pilot were arranged through the LightHawk organization. 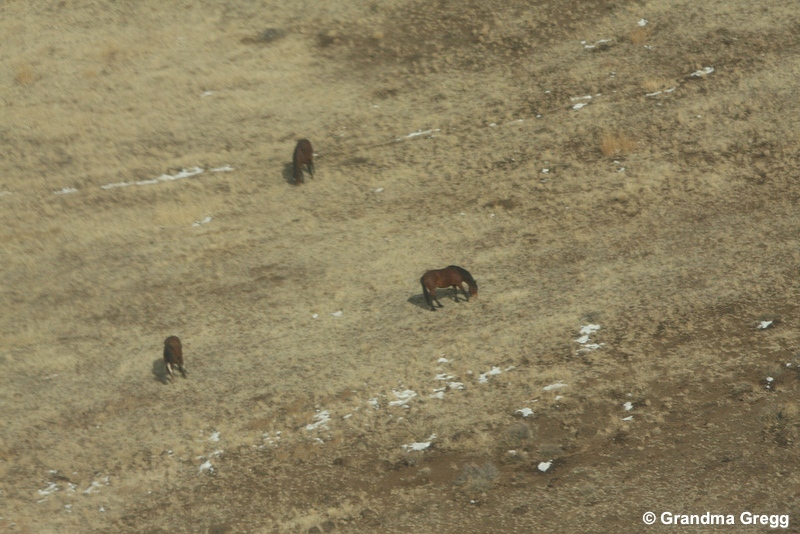 During the aerial survey a total of 44 horses and 36 burros were counted along the 207 miles of transect strips within the Twin Peaks Herd Management Area boundary. Over 300 photographs and continuous video footage were taken during the flight. Photos were taken by Craig Downer, Jesica Johnston and Catherine Scott, and video footage was courtesy of pilot Ney Grant. All this was made possible due to the coordination and support from LightHawk. Craig Downer is a member of the Protect Mustangs Advisory Board. Where are all the wild horses? How many are left in freedom? 50,000 are stockpiled in government holding facilities. 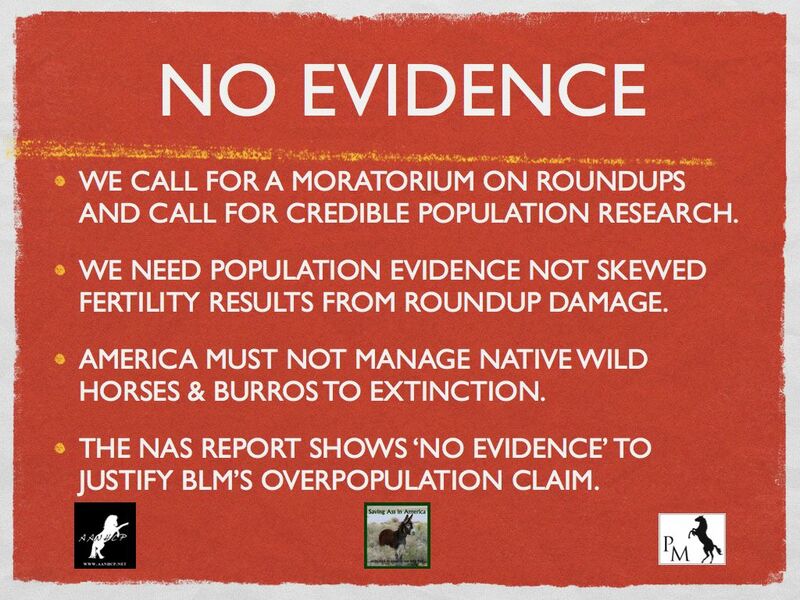 We call for a moratorium on roundups for population studies. This is urgent! A big thank you to Cindy A. Lee of Wags and Menace Make a Difference Program Foundation for sponsoring our trip! We are so grateful that Cindy A Lee realizes how important scientific field research is to protect America’s heritage–America’s wild horses. In a 2010 lawsuit, In Defense of Animals alleges the Bureau of Land Management violated the Free-Roaming Horses and Burros Act and the National Environmental Policy Act when it planned to round up about 2,300 wild horses and burrows in 2010 on the Twin Peaks Herd Management Area, which consists of about 800,000 acres in Northeastern California and Northwest Nevada. 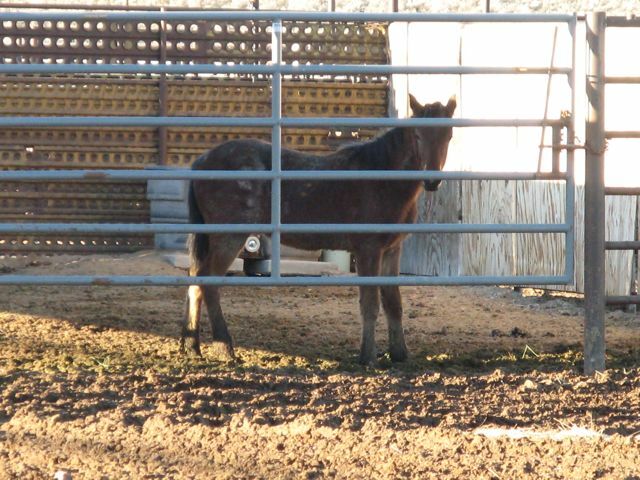 About 180 wild horses and burros were to be released back into the wild. The remaining horses were transported to BLM facilities for adoption, sale or long-term holding in private facilities, under what In Defense of Animals describes as “zoo-like” conditions. While In Defense of Animals filed an injunction to stop the roundup, the motion was denied and the roundup went forward. 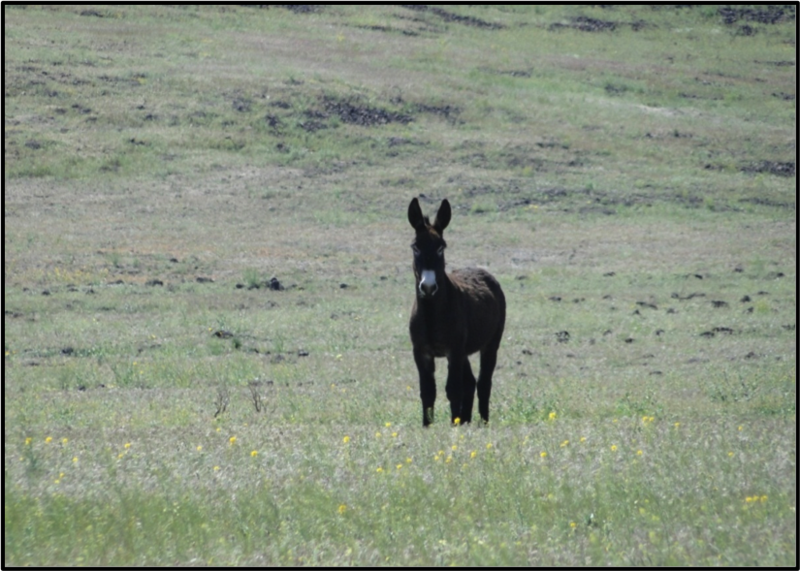 A total of 1,799 horses and burros were gathered and 59 were returned to the range. Fifteen animals died, according to BLM’s website. In November, a U.S. district court judge ruled in favor of BLM and the U.S. Department of Interior saying the roundup did not violate the NEPA or WFRHBA. In Defense of Animals appealed and the Ninth Circuit Court of Appeals heard oral arguments for about one hour Thursday afternoon. The Act, approved by Congress in 1971, allows the Department of Interior to manage the population of wild horses if the natural ecological balance of the land is threatened. The wildlife advocacy organization’s attorney Rachel Fazio said BLM did not adequately prove wild horses solely threatened the ecological balance at Twin Peaks. “In this situation, that benchmark was not established by BLM before they proceeded to round up 80 percent of the animals on this range,” said Fazio. Mark R. Haag, BLM’s attorney, argued BLM had established the number of horses on the range exceeded the appropriate management level. He said areas of the range were trampled, vegetation was lost and cultural artifacts were damaged due to erosion. “My problem here is I thought the purpose was to achieve a thriving natural ecological balance and that the appropriate management level determination was just a tool to get to that thriving natural ecological balance, but it seems to me the agency disregarded that,” said Judge Johnnie B. Rawlinson. Jack Carone, communications and campaigns director for In Defense of Animals, said if the court rules in their favor, he hopes other parties would question other BLM roundups. Apache Running-Hawk Daklugie, who grew up on the Mescalero Apache Reservation in New Mexico, described the sacred relationship between wild horses and Native Americans. Tonya Littlewolf, founder of Wolf Mountain Sanctuary in Lucerne Valley, said during the roundups some horses’ hooves fall off and their legs are broken. “They can’t speak for themselves so we have to speak for them,” she said. She was hopeful the case would rule in the activists’ favor. Vegetation in burn area in very good condition with many wild flowers, low grasses, a lot of cheat grass and what appears to be some Russian/Siberian crested wheatgrass (non-native). Many juniper trees burned beyond survival but many were not burned or will survive the fire damage. 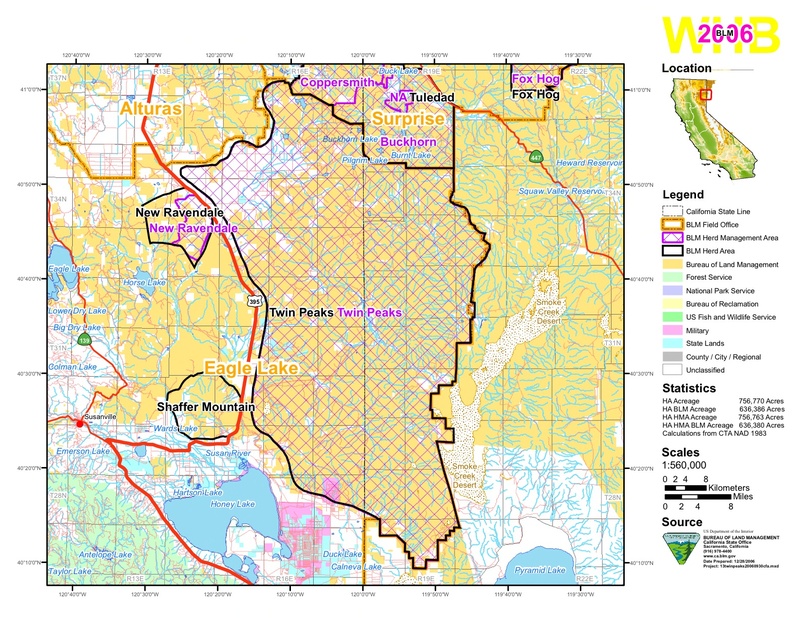 Sage areas clearly show the patchwork pattern of the fire, with many areas completely unburned within the Rush Fire perimeter. Saw some bitterbrush drill seeding along Rye Patch Road. Very little black burned grass noticeable now compared with last fall immediately following the Rush fire (see Rush fire report http://protectmustangs.org/?p=2729 ) and now most of the burned area is covered with spring vegetative growth. 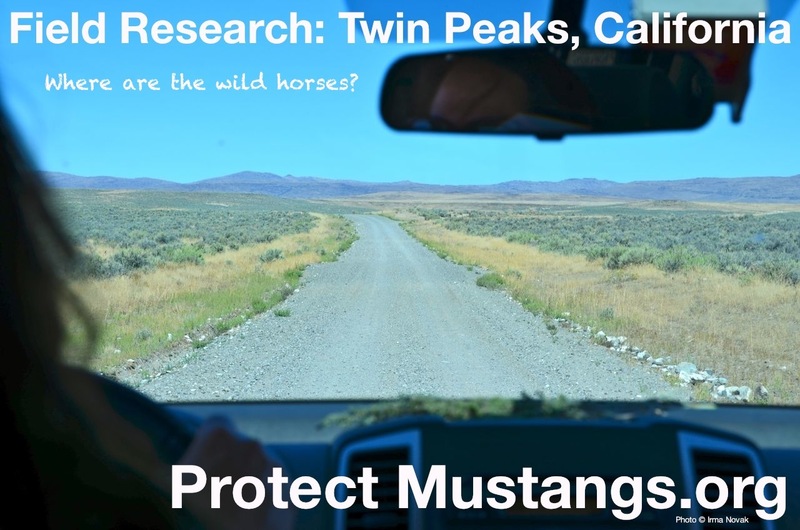 Most notable was the lack of any animal trailing that can usually be seen and would have been very obvious with the new carpet of forage – believe this is because #1 no livestock on the public land and #2 very few wild horses and burros left on the Twin Peaks Herd Management Area. Also noticeable was the lack of horse and burro tracks and manure on the HMA. 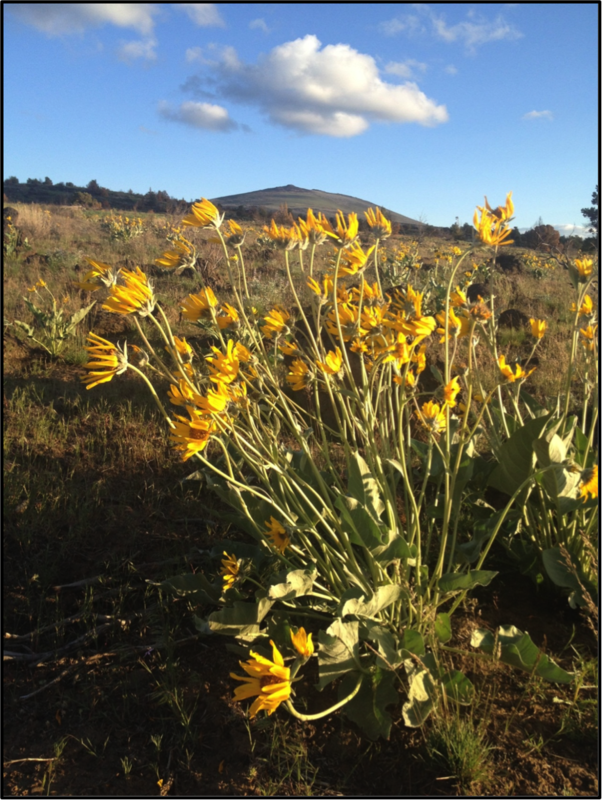 Other animals observed: one coyote, two golden eagles, vultures, crows/ravens, two rabbits, birds, ducks and geese at Horne Ranch reservoir, 2 deer, ~ 20 antelope, two curlew, small fish in the Robbers Roost pond and some burrowing ground squirrels and pika. Unless otherwise noted, all photographs were taken by Jesica Johnston and Carrisa Johnston. Turned around at Smoke Creek Ranch owned by Bright-Holland Corporation – gate locked with no trespassing signs and 150+ cattle visible and lush green fields all fenced off. One set of fresh horse tracks on road and few manure piles but not stud pile (mare or only one horse?) In the past (pre-fire) numerous manure piles and eight horses seen in this area. We saw one old wild horse stud pile at Spanish Springs trough – new looking barbed wire strewn in pathway (very dangerous for any animal – we moved it) No recent signs of horse. In our two days of observation we saw very few signs of any wild horses or burros and only saw one dark horse about a mile south of Shinn Ranch Road about 4 miles in from Hwy 395 – it was far off but 99% sure it was a horse in the far canyon and the only wild horse we saw on this trip.